rohan joined Watsi on April 25th, 2015. 21 other people also joined Watsi on that day! 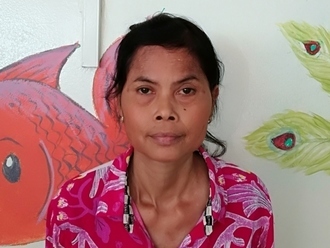 rohan's most recent donation traveled 8,800 miles to support Sokkong, a woman from Cambodia, to fund hip replacement surgery. rohan has funded healthcare for 42 patients in 10 countries. Faima is a baby from Kenya. Faima’s mother is a stay-at-home mom. Faima has been diagnosed with hydrocephalus, a condition in which excess cerebrospinal fluid accumulates in the brain and increases intracranial pressure. As a result of her condition, Faima has been experiencing an increasing head circumference. Without treatment, Faima will experience severe physical and developmental delays. 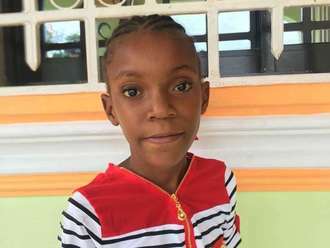 Our medical partner, African Mission Healthcare Foundation, is requesting $685 to cover the cost of surgery for Faima that will treat her hydrocephalus. The procedure is scheduled to take place on October 4 and will drain the excess fluid from Faima's brain. This will reduce intracranial pressure and greatly improve her quality of life. With proper treatment, Faima will hopefully develop into a strong, healthy young girl. “I am praying and hoping Faima will get treated and thrive,” shares Faima’s mother. Ann is a bar attendant from Kenya. She is a mother of four children. 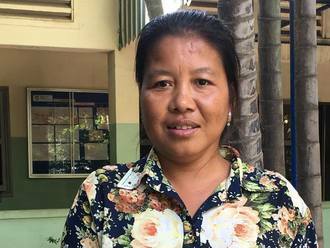 In early February, Ann was riding as a passenger on a motorcycle when they were hit from behind by a hit-and-run vehicle. She was rushed to the hospital and was diagnosed with femur fracture and cervical spine fracture. She is not able to sit, stand, or walk and is in a lot of pain. Fortunately, surgeons at our medical partner can help. On February 16, Ann will undergo a fracture repair procedure, called an open reduction and internal fixation. The procedure will help her walk easily again. Now, our medical partner, African Mission Healthcare Foundation, is requesting $1,451 to fund this procedure. Ann says, “I wish to be treated and leave the hospital when am much better. I still need to provide for my children." Shela is a student from Haiti. She lives with her parents and older brothers in a small rural community in southwest Haiti. Her parents are both farmers. She is in the third grade. Shela has a cardiac condition called ventricular septal defect and atrial septal defect. Two holes exist in her heart, one between the two upper chambers and another between the two lower chambers. Blood leaks through these holes, depriving her body of oxygen and leaving her weak and short of breath. Shela will fly to Cayman Islands to receive treatment. On January 22, she will undergo cardiac surgery, during which surgeons will first perform a diagnostic catheterization to determine if it is safe to close the holes in her heart. If the result is positive, they will then perform surgery to close both holes with patches. Another organization, Health CIty Cayman Islands, is contributing $17,000 to pay for surgery. 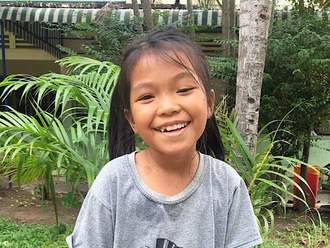 Shela's family also needs help to fund the costs of surgery prep. The $1,500 bill covers labs, medicines, and checkup and followup appointments. It also supports passport obtainment and the social workers from our medical partner, Haiti Cardiac Alliance, who will accompany Shela's family overseas. Her mother says, "We are very thankful to everyone who is making it possible for Shela to travel to the hospital!"